Natural and cultured pearls: what's the difference? Pearls, beautiful in all their forms, come in all shapes and sizes. Have you ever wondered what the difference is between natural and cultured pearls? It’s just one of the questions I am often asked. Natural pearls form in the bodies of certain mollusks, usually around a microscopic irritant and always without human help of any kind. These natural pearl sources have declined over the past century, mainly due to over fishing, pearl culturing and oil drilling. In contrast, creating cultured pearls needs intervention and care. It was the ancient Chinese who first discovered how to ‘create’ a pearl. They did this by inserting an object into the oyster to help grow the pearl. Kokichi Mikimoto, first brought these cultured pearls to a wider international audience at the beginning of the 20th century. In most cases, unless one’s pearls came from an auction house or have been handed down through the generations, it’s most likely to be cultured pearls. 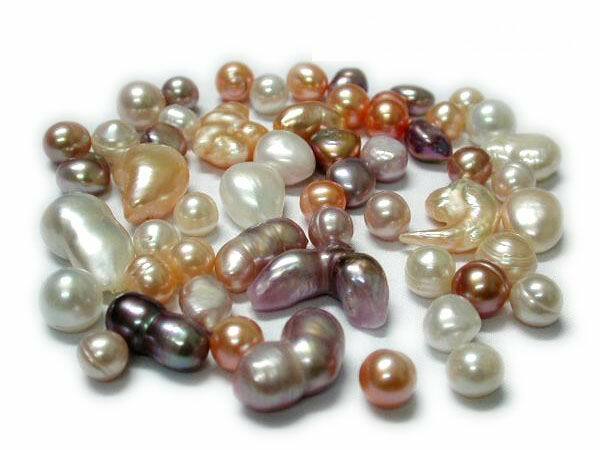 I am also always asked about the major types of cultured pearl available. 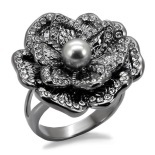 One may have heard about Akoya cultured pearls from Japan and China. 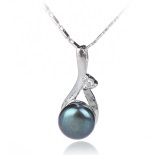 Another type of cultured pearl is the well known South Sea. These are found in countless colours, including a vibrant yellow from Australia, Indonesia, and the Philippines. 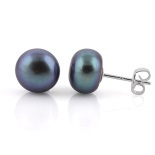 My absolute favourite pearl is the Tahitian, found in the islands of French Polynesia. 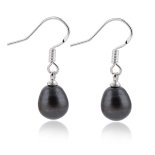 These range in colour from the luscious black pearls to the brighter white variations. One can also find that these pearls take on spectacular green, blue even aubergine surface shades, of which are in my own jewellery box! Freshwater cultured pearls are another important type, they are found in freshwater lakes and ponds throughout China and the US. By now you may be holding up your string of cultured pearls and wondering just what makes it special? (Apart from it’s obvious beauty that is) Firstly check its colour, although white is the most classic hue, I prefer more unusual natural colours. Then it’s lustre or surface reflections – pearls with high lustre give off sharp bright reflections from it’s surface making them very pretty to look at! The number of blemishes or marks on a pearl’s surface is also used to judge it’s overall quality. Then there is the shape, completely round pearls are highly valued but asymmetrical drops are just as special. 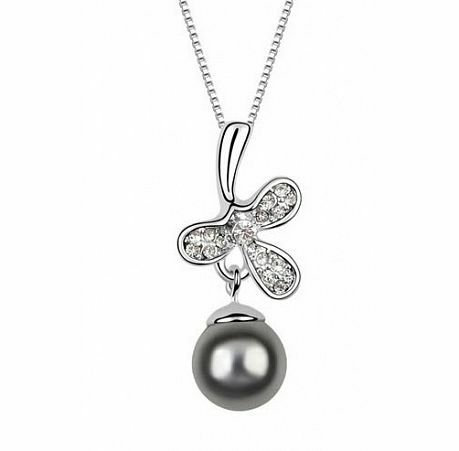 How well pearls match when in a strand or multi-pearl piece will affect the value too. Pearls make for some of the most exquisite and unusual jewels, so observing them is fun to do- especially if they happen to be unusual! GEM-APORTER visited the Yoko London Knightsbridge boutique and was literally swamped with pearls- Well this is the largest pearl specialist company in the world! Michael Hakimian, the man behind Yoko London specialises in rare and unusual colours of pearl as well as exceptional sizes of South Sea, Akoya and Freshwater cultured pearls. He travels across the globe to source pearls with exactly the right size, colour and lustre directly from pearl farms. It was way back in 1740 that the Hakimian family began it’s long association with jewellery when Nadit Shah of Persia asked them to guard and protect his jewelled treasures. Today, Yoko London sources the most unusual pearls in the world. The brand’s close relationship with the pearl farms has helped them secure these most unusually coloured pearls almost as soon as they are extracted from the water. Yoko London oversee every step of the pearl’s journey, from when they first leave the sea and the creation of each individual design right through to the final setting alongside the craftsmen in their London workshop. Just take a look at how this multi-pearl necklace is created, notice how well the pearls mix! This heavenly necklace works with a soft graduation of pink; It could take the artisans at Yoko London years to find the right coloured pearls for a design! A most magical process! It never ceases to amaze me just what beauty mother nature can create. Particularly exciting are these latest purple and lavender freshwater pearls. Exceptional in size and with the most amazing lustre, these pearls are in themselves an extremely rare occurrence: Michael Hakimian himself said of the pearls: “In 35 years in the business, I have never seen pearls with such an intense purple colour, these pearls form a once in a lifetime collection.” By 2005 Yoko had accumulated a unique collection of exquisite pearls. This encouraged the Michael and the rest of the Hakimian family to create the first of their exceptional pearl jewellery designs. It’s here in the head office where thousands of pearls are sorted, graded and matched every single day. Thus ensuring that only the finest pearls are selected for Yoko London’s collections. 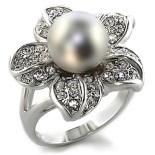 Getting in to the details, there are a number of factors that determine the type of cultured pearl. Firstly the different species of oysters and mussels they come from, each produces their own characteristic type and colour of pearl. 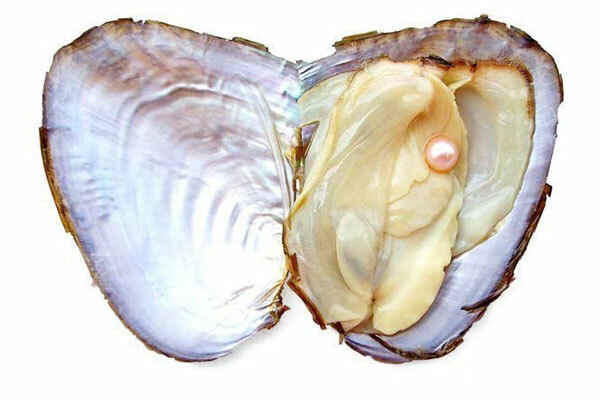 The natural variations found in each oyster mean that colours of the pearls produced will vary. These natural colour ranges present the challenge of matching pearls in new jewellery designs. A process that will take a lot of time and effort to get right. 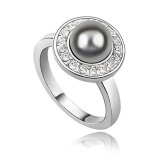 The round shape of some pearls has led many cultures to associate this gem with the moon. In ancient China, pearls were believed to guarantee protection from fire and fire-breathing dragons. In Europe, they symbolized modesty, chastity, and purity. In 2013 Yoko London was chosen to represent modern pearl jewellery at the ‘Pearls’ exhibition at London’s Victoria and Albert Museum. The exhibition traced the history of pearls back from the Roman Empire to the present day. I was delighted to try on the special Yoko pearl set from the exhibition!